With the longer days of spring and the promise of warmer weather ahead, it's time to think about key outdoor pieces that will take you right through to the end of summer. 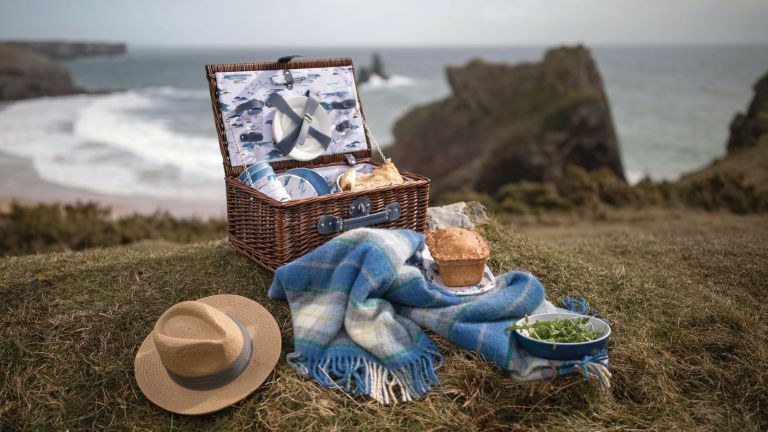 The National Trust has launched an exclusive new outdoor dining collection that captures the essence of the season, from coastal scenes and stunning landscapes to rural motifs. Whether gathering friends and family around the table as the sun sets or heading out for a picnic under a shady tree, the collection will add a touch of style to proceedings. The pieces are available in store and online and will help generate income for the long-term care of the National Trust landscapes that inspired the designs, including Stackpole in Wales and Mulough Bay in Northern Ireland.